A couple weeks ago I gave a webinar on distribution to members of the American Craft Spirits Association. This group of truly craft producers shined a light on the fact that evolution of the three-tier system is absolutely necessary for their survival. These are small to mid-size distilleries who are producing amazing products but are having trouble getting distribution. Their ability to get their products into the hands of consumers is challenging–as distilleries do not have that direct to consumer option that many wineries do. This is where I’ve been living over the past year and I’m happy to see these small and mid-sized producers benefiting from our evolved distribution model. That same day, Treasury Wine Estates announced that they are overhauling their U.S. distribution network. As a U.S. distributor, I took note. What is Treasury doing? Where they can go direct, there are going direct. They are taking control over some of their chain business and partnering with wholesalers for sales to individual accounts. It’s an interesting hybrid of models, and I like it. The goal is to improve efficiency and enhance margins across its Americas business. I interpret this to say that they saw that the distribution model needed to be updated, even for them, one of the largest wine producers in the world. This is a bold move and I applaud them for re-thinking their approach. I built LibDib on re-thinking how distribution can be done. I realize there is a want and a need for they system to evolve for the modern marketplace. Distributors are also taking note and I see that when I hit the road and meet with people. We’re all trying to find ways to adapt to this changing business. 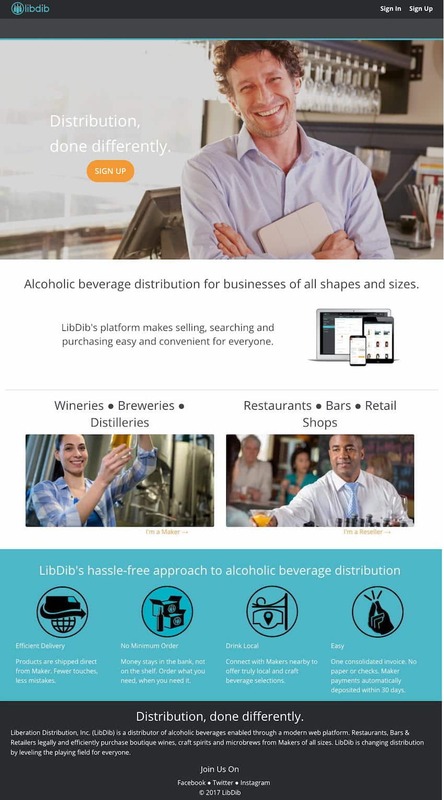 Small, medium (or large producers) can put their products on the LibDib platform at no cost or downside. They can set up distribution using our online platform. Tools for selling and connecting with accounts are all available within the platform. When we go into a new state (stay tuned! ), they can price those products for fulfillment and the compliance stuff happens in the background, it then all goes live, and then…you have distribution. I truly believe that when we rethink distribution, there are ways to make three-tier work for everyone. I love that many in the industry are doing just that. Here’s to distribution, done differently!